You know your child best. If you suspect a possible hearing loss, book a screening hearing test for your child today. The sooner a pass/fail screening result is established the better. Don’t wait up to six months for an appointment at your local public hospital. Hearing loss doesn’t necessarily mean you can’t hear at all, or that sounds just aren’t loud enough. You might notice that your child doesn’t respond from a distance or that words don’t seem to be clear. Delays in speech and language development, as well as educational progress, can also be signs of a possible hearing loss. The impact of hearing loss on a developing child is quite different from the effects of hearing loss that occurs in adulthood. 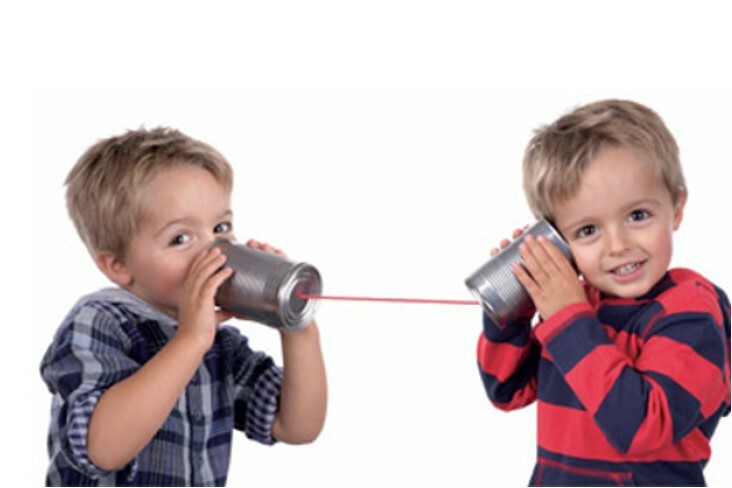 Children use their hearing to learn about the world around them and develop communication skills. Hearing loss can develop at anytime, even years after your child passed their newborn screening test. Pure tone audiometry involves listening to beeps across a range of pitches, or notes, and responding when the stimulus is heard. The examiner systematically finds the softest sounds the participant can hear across a range of frequencies and determines the Hearing Threshold – the softest sounds one can hear across the range of pitches that are important for speech understanding. 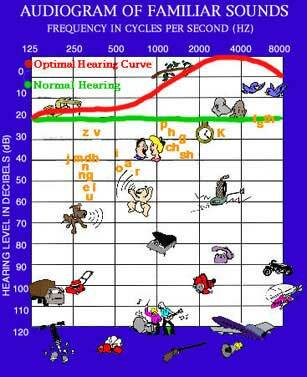 The Hearing Thresholds are plotted on a graph called an Audiogram (below). Frequency pitch is measured in Hertz (Hz) and is plotted on the x-axis with low frequencies on the left increasing to high frequencies on the right (like a piano keyboard). Loudness (volume) is measured in decibels (dB) and is plotted on the y-axis, with very soft sounds at the top of the graph increasing to very loud sounds at the bottom. Here is some information on different types of hearing loss. Some children develop temporary hearing loss generally from various Middle Ear conditions. A common cause of temporary hearing loss in children is ‘Glue Ear’ due to fluid in the middle ear (behind the ear drum). This may follow a cold/flu or other virus or respiratory infection. It may also sometimes occur ‘out of the blue’. If your child appears to have hearing difficulties for longer than one week, a screening test is recommended. Some children gradually acquire a permanent hearing loss. This may occur anytime, even in adolescence. A child may be unaware of the hearing loss. Needing the TV or radio up loud. Has unclear speech and/or speak loudly. Not speaking at the same level as other children of the same age. Having difficulty learning to read or spell. Becoming disinterested or disruptive in class. Fluid in the middle ear from colds. Drugs that are toxic to hearing. Hearing loss that runs in the family (genetic or hereditary).